When the Russell Martin Foundation, a registered charity that works to impact positively upon the lives of children and young people through sport within the Brighton area, approached us asking if we’d be able to help make a 3-D model of a football stadium as designed by one of their Under 10’s competition winner, we promptly passed their details along to our Number One SketchUp Education reseller, Cadsoft Solutions. Massi’s passions are Football and Lego, so modelling the stadium using Lego was a no-brainer. Nick Johnson, Managing Director of Cadsoft Solutions, then took Massi’s Lego build and bought the design to life in SketchUp. In order to give Massi the opportunity to stretch his creativity even further, he was awarded a SketchUp Pro license and we can’t wait to see what Massi goes on to create and build in the future. 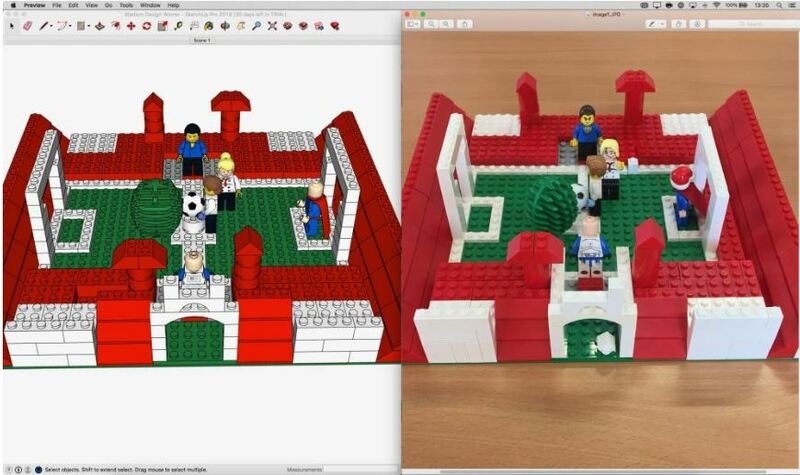 You can view Cadsoft Solution’s SketchUp model of Massi’s winning Lego stadium design on the 3D Warehouse by clicking here. Questions about SketchUp for Education? Contact us below.